... especially because your cat gets whiffs of the real stuff, fresh, natural catnip. But the catnip is not all that's natural. Huge 4 Design, LLC, is a Seattle start-up with the goal of using as many Washington-state natural and sustainable materials as possible. 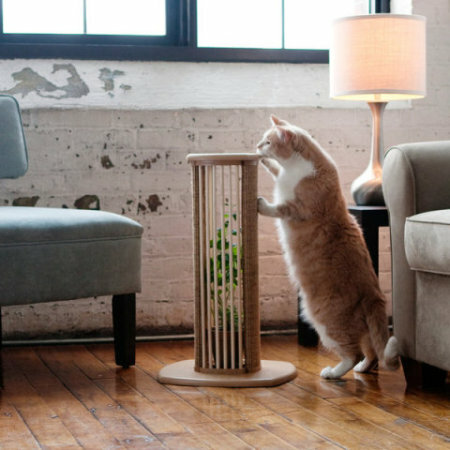 In the Scratch 'n Sniff Live Catnip Scratching Post, it uses renewable, formaldehyde-free wood products, all natural sisal with 80 percent natural latex backing, vegan wood glue, rice hull pots, and non-toxic water-based sealant - 90 percent of which comes from Washington state. 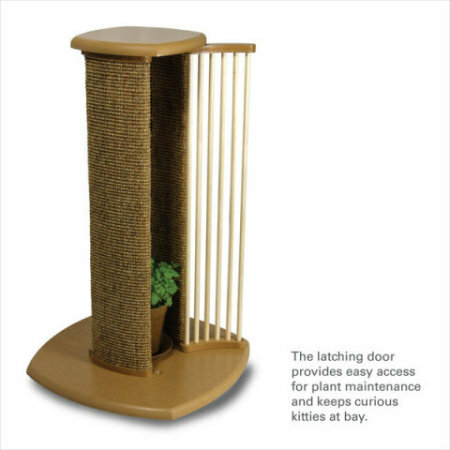 You can purchase the Scratch 'n Sniff in dark or light sisal to match your decor (these panels are replaceable), and with a live plant or a grow kit. That's definitely the buzz for today!